It’s that time again, where I grossly/awesomely overestimate the number of books and other things I’ll be able to read in the next three months, plus include a few things I almost certainly won’t get around to reading but that I still think other folks should read and tell me about. One thing you may notice right off is that I’m not really reading YA any longer. I’m sure it’s a temporary thing, but I just haven’t gotten into any of the YA releases that were on my radar this year, so in the interest of not stressing myself out when I fail to get around to them, I’m just not even including them. It’s just been so long since I’ve really wanted to read anything YA, and there’s so much other great stuff coming out over the next three months (well, the next couple months, since December is an especially sparse time for SFF releases this year) that I just haven’t even been paying much attention to what’s coming out for teens. The rest of 2017 is pretty heavily front-loaded with new releases. with eight titles I’m excited about coming out just on October 3 and several more Tuesdays in October and November with two to five releases. However, there’s nothing on my calendar past December 5, so I expect to be doing a lot of catching up on things that month, since on average I’m reading just a couple books a week and there’s a lot of stuff I’m excited about this fall. I’ve, kind of necessarily, relaxed my stance on reading every single Tor.com release over the last few months, skipping a couple of titles that didn’t appeal to me or that were part of series that I haven’t begun yet, but the next couple months are full of books that I’m looking forward to. I’ve loved both of Paul Cornell’s previous Lychford novellas. The first, in particular, was a great seasonally appropriate read around this time a couple years ago, and I’m making sure to save this one for a crisp evening with a blanket a nice hot cup of tea or several. 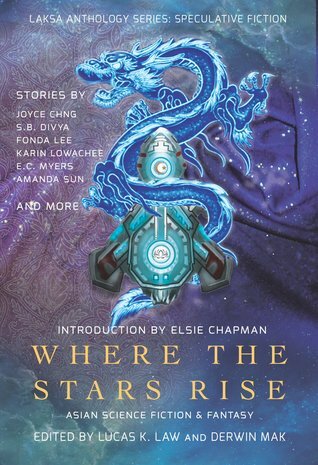 I’ve read All the Birds in the Sky and enjoyed some of Anders’ other short fiction (her story in the John Joseph Adams anthology, Cosmic Powers, was fantastic), so I’m pretty hyped for this collection, each story of which is totally new to me. The sequel to Brother’s Ruin, which was a charming gaslamp fantasy. I already read an advance copy this book right after I read The Five Daughters of the Moon, and it’s a beautiful conclusion the the duology. I’m certain that this penultimate Sin du Jour novella is going to be delicious. I haven’t been lucky enough to get my hands on an advance copy of this title, but it’s probably the Tor.com release I’m most looking forward to this fall aside from Gluttony Bay. Certainly, it’s the most ambitious and unique sounding thing on their schedule in the next three months. Spencer Ellsworth’s Starfire trilogy is exactly the sort of high energy retro space opera adventures I want to be reading these days. Highly recommend. The final issue of FIYAH’s first year, “Roots,” will be available October 1, and I have ever expectation that it will be as excellent as the first three issues. Hopefully 2018 subscriptions will be available soon as well, but in the meantime you can get a sneak peak of next year’s themes on FIYAH’s submissions page. 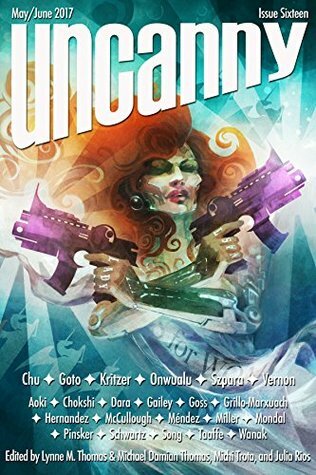 I already reupped my subscription to Uncanny when they did their Year Four Kickstarter, and I am super stoked to see what they come out with next. There’s no cover or table of contents for the next issue yet, but I’m sure it will be great. 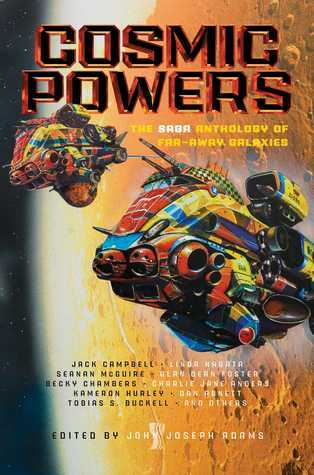 I will have a review of this anthology and possibly an interview with the editors coming out prior to its release date, but I’ll say here that you definitely want to read this book. Plus, a portion of the proceeds from its sales benefits Kids Help Phone, a Canadian counselling hotline for children. A collection of retold classics and fairy tales from a great author. An anthology of stories inspired by Wonderland. 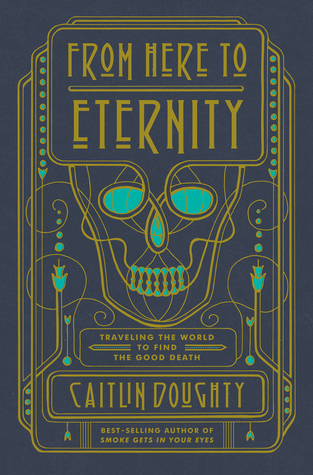 I’ve been watching Caitlin Doughty’s YouTube channel (Ask a Mortician) for years, and I loved her first book, Smoke Gets in Your Eyes and Other Lessons from the Crematory. I’ve also been following her work with the death acceptance organization The Order of the Good Death for years, so I am super excited to read this new book about death traditions from cultures around the world. The long-awaited sequel to Okorafor’s 2011 YA novel, Akata Witch. Early reviews of this gothic fantasy seem promising. 40 popular authors (seriously, all my current faves are in here) telling 40 stories from the points of view of 40 different minor characters in the Star Wars Universe. It’s gonna be awesome. The start of a new epic fantasy series in the same world as her Eternal Sky trilogy. The first in a new prequel/sequel trilogy set in the world of His Dark Materials. An omnibus reprint of a duology. The Terra Ignota series continues. I mean, I still need to finish reading all the previous books, but I’m still looking forward to this one. Between personal life stuff (my car will not stop breaking down about once a week) and generalized depression and anxiety about the state of the country and the world, I didn’t get around to writing nearly as much as I’d have liked to about what I’ve read in the last three months, so I’ve been looking forward to writing this list and wrapping up this season of stress and frustration so I can move onto other things. That said, there was so much great stuffed published over the last three months, and I ended up reading most (though by no means all) of my Spring Reading List. It’s been very sad to not have the energy to write about it all, so I’m glad to have begun doing these wrap-up posts so I can squee a bit about everything I’ve missed writing longer posts about. 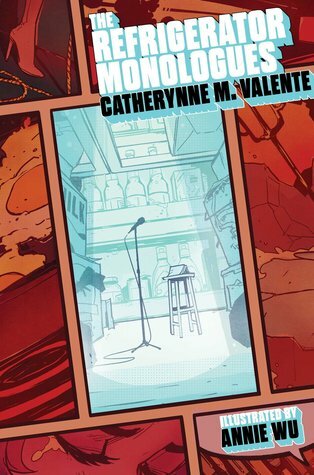 I have unequivocally loved everything I’ve ever read by Catherynne Valente, and The Refrigerator Monologues was always one of my most-anticipated releases of 2017, so it’s no surprise that I adored it. Valente has always had a way with language, and like all of her other work, The Refrigerator Monologues deserves to be read aloud, even if just to yourself. It’s smart and funny and furious and sad, and Valente has crafted a wonderfully original world of superheroes and a marvelous group of heroines with strong voices that are distinctive and familiar in turns. I’ve been following Yoon Ha Lee’s career with interest since picking up Conservation of Shadows a few years ago because I liked the cover and realizing that it was one of the finest SFF short fiction collections I’d ever read. 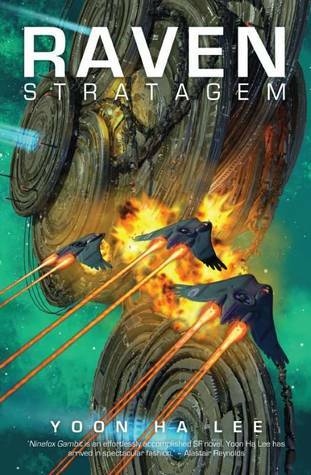 Lee’s first novel, last year’s Ninefox Gambit, was among my favorite books of 2016, but he’s really outdone himself with Raven Stratagem, which is one of those rare second books in trilogies that is better than the first. Even having read some of Lee’s short fiction set in his Hexarchate universe, I sometimes struggled to follow parts of Ninefox Gambit, but that’s not the case with Raven Stratagem, which is all around a stronger book, more character-focused, with a more easily comprehensible plot and a great cathartic payoff at the end that sets things up for a very exciting third installment in the series. Uncanny‘s Year Three has been outstanding in general, but this was an especially excellent issue. Sarah Gailey’s essay, “City of Villains: Why I Don’t Trust Batman,” went almost viral (and deservedly so) as soon as it was posted online, but it’s only one great piece in an issue heavy on wonderful nonfiction. My personal favorite essays were “Missive from a Woman in a Room in a City in a Country in a World Not Her Own” by Mimi Mondal and “How I Learned to Stop Worrying and Eat the Eyeball” by Dongwon Song. This issue is no slouch in the fiction and poetry department, either, with new short stories by Ursula Vernon (“Sun, Moon, Dust”) and Chinelo Onwualu (“Read Before Use”), among others, and a pair of lovely poems by Roshani Chokshi (“Dancing Princesses”) and Theodora Goss (“Seven Shoes”). Honestly, just buy the whole thing, and then think about backing Year Four (which will include a People with Disabilities Destroy Sci-Fi special issue) when the Kickstarter goes live in July. I read an above average number of very good novellas in the last three months, but All Systems Red is a true standout even with stiff competition. 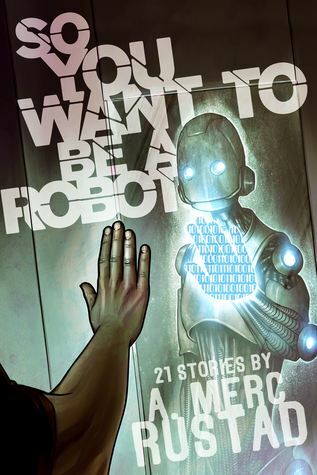 A sci-fi adventure written from the point of view of a sentient cyborg/robot who calls itself “Murderbot,” All Systems Red has humor, excitement, a dash of horror, and criticism of capitalism–all things relevant to my interests–combined with a strong and unique narrative voice. The best part is that there are at least three more Murderbot stories forthcoming from Tor.com over the next year or so. I cannot wait. 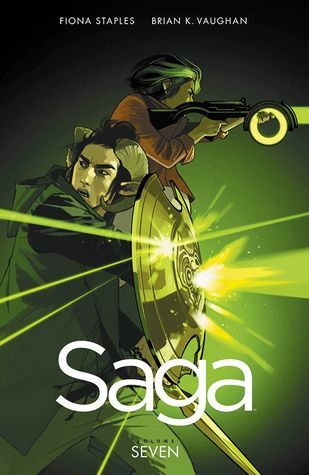 This seems an obvious choice, especially since I’m not a great reader of comics in general, but Saga is really, really good. This volume is full of all the weirdness one can always expect from this series, but it also comes with almost as much heartbreak (including at least one straight up gut punch) as the six previous volumes combined, so be sure to enjoy it with a box of tissues close at hand, possibly after several glasses of wine to preemptively dull the pain this book is pretty much guaranteed to make you feel. Listen. You’re almost never going to find any collection of short fiction that you like every bit of, but this anthology comes close for me. From the very funny “A Temporary Embarassment in Spacetime” by Charlie Jane Anders to the sharp and wryly witty “Zen and the Art of Starship Maintenance” by Tobias Buckell to Linda Nagata’s mother/daughter caper, “Diamond and the World Breaker, to a new Yoon Ha Lee Hexarchate story, “The Chameleon’s Gloves,” there’s something here for almost everyone. It’s an anthology with (cosmically) big ideas, a great deal of fun, and an entertainingly retro sensibility without sacrificing forward-thinking messages. We’re up to book number five in this seven part series, and I am already getting sad about it ending. I’ve enjoyed this series since day one, and each installment continues to be better than the one before. 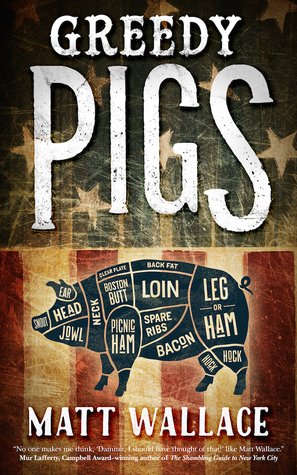 In Greedy Pigs, the Sin du Jour team finds themselves accidentally catering an event for the President of the United States. Things get weird, obviously. Reenu-You by Michele Tracy Berger – Not the best written novella I read this spring, and it could have used another pass with a copy editor, but it’s a story that has stuck with me. Even weeks later, I still find myself thinking every couple of days about these characters and the way they bond through a shared trauma. Victor LaValle’s Destroyer #1 – A promising first issue with a fresh take on classic source material. “Beauty, Glory, Thrift” by Alison Tam – A delightful sci-fi adventure novelette. Down Among the Sticks and Bones by Seanan McGuire – I only liked Every Heart a Doorway, but I loved Down Among the Sticks and Bones. I think if I’d read this one first, I’d have liked the other better as well. The Guns Above by Robyn Bennis – I didn’t think I was in the mood for a book about a woman having to deal with sexist garbage, but this one is a good, fast read. Ladycastle #4 – After this limited series started off strong, it ends with some baffling plot developments and a too-easy resolution. River of Teeth by Sarah Gailey – This novella was fine. I like the hippos. But I think it’s a case of it being extremely over-hyped. I’m not sure what I expected, but it doesn’t seem near exciting enough on its own merits to earn all the superlative praise I’ve seen for it. The Space Between the Stars by Anne Corlett – By about five chapters in, I’d predicted the book’s big “twist” and couldn’t even be bothered to finish it. I don’t know if I’ve mentioned this lately, but I love Matt Wallace’s Sin du Jour series so very, very much. Sure, I might have started off feeling a little tepid towards it, but it’s new entries have quickly become some of my most anticipated new releases. They’re only getting better over time, and Pride’s Spell is the best one yet. It’s a smart, action-packed, hilariously absurdist romp and probably the most fun thing you can read this summer. This installment takes half of the team to Hollywood, where they’re doing the catering for an important movie premiere that takes a sinister turn. That doesn’t mean the folks who stay behind in New York are off the hook, though. There’s not a lot to be said about the plot without giving the whole thing away, but if nothing else about this book appeals to you, it’s worth reading just to read the truly superb action scene where a dude fights an evil Easter Bunny. That said, there’s a lot to love about Pride’s Spell, and it’s good to see the world Matt Wallace is creating start to feel a bit more lived in. There’s a definite monster-of-the-week feel to it that keeps each installment fresh and interesting, but three books in there’s also an internal logic emerging that is finally making the Sin Du Jour world feel fully realized. It also helps that the overarching plot of the series is starting to take shape and make a bit more sense out of the sometimes random-seeming events. The copious pop culture references will likely date the books in the future, but right now they work well to keep these stories grounded enough in reality that the reader can accept some of their more surreal qualities. Distinct character arcs are starting to come together as well, particularly Lena’s, which was the biggest surprise of this book for me. When I read Envy of Angels, I rather thought that Lena’s roommate, Darren, would end up being the main character, but instead it’s Lena and her experiences that have been increasingly foregrounded. I’m glad because, while Darren’s rocky adjustment to the new job isn’t completely boring, I’d much rather read about Lena’s burgeoning friendships with other women, her professional accomplishments, and even her messy relationships with men. She’s a delightfully complex character who does everything with an admirable if occasionally ill-advised fierceness that makes her both admirable and relatable. The only major issue I see with Pride’s Spell is that I don’t know if anyone will be able to make heads or tails of it without having read the previous installments of the series. While each novella is a self-contained adventure, there’s a lot going on, and enough references here to the previous books that I could definitely see an uninitiated reader feeling a bit adrift. The good news is that the series is really excellent and improving over time, and it’s not too late to start from the beginning. Sin Du Jour is a fast, fun read perfect for breaking reading slumps or relaxing between more challenging books. 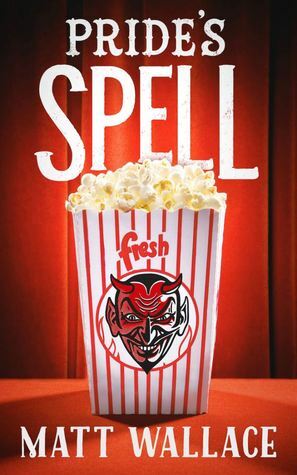 You could start with Pride’s Spell, and a clever reader will catch up quickly, but you really owe it to yourself to go back and read the first couple installments. This review is based on an advance copy of the title received from the publisher through NetGalley. I received a free advance copy of this title from the publisher via NetGalley. Lustlocked is the second in Matt Wallace’s Sin du Jour series, which began with the riotously funny Envy of Angels late last year. When I read the earlier volume, it was as part of my ongoing project of reading all of Tor.com’s new novellas, but I didn’t expect to like it much. Instead I found it quite enjoyable—smart and fast and a thoroughly fun read. I couldn’t wait for Lustlocked, and I was not disappointed. It picks up more or less right where Envy of Angels ended, with Lena and Darren still kind of reeling from their experiences during their first days on the job at Sin du Jour and now faced with the decision of whether or not to sign on to the company on a more permanent basis. Of course they do, or there’d be very little story left to tell, and they (and we) quickly learn that there’s never a boring day at this catering outfit. The first job after Lena and Darren sign their contracts is a huge formal wedding for goblin royalty, which quickly gets out of hand when the bride complains that her in-laws aren’t always as nice to her as they could be and resident witch Boosha decides to do something about it. Where Envy felt a little disjointed and too busy, with the fish-out-of-water story of Lena and Darren seeming almost incidental to the various other, more interesting storylines happening around it, Lustlocked finds a much better balance. 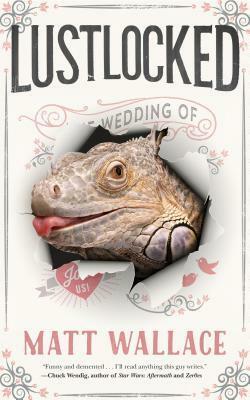 There’s still an awful lot going on, including a sort of prologue that still seems somewhat out of place and disconnected from the main plot, which concerns a goblin wedding, but Lustlocked never feels overstuffed the way its predecessor sometimes did. 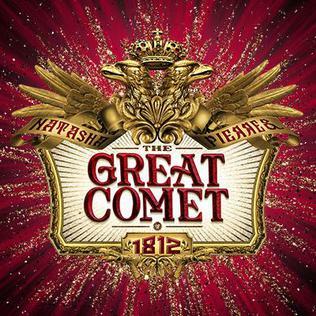 Aside from the prologue, things flow along at a respectable and pleasantly methodical pace. Where this second installment of the (hopefully open-ended and long-running) series really shines, though, is in continuing to bring to life its world and characters. Every new revelation about the mythology Matt Wallace is creating for this series is a new delight, and between Lustlocked itself and the bonus short story at the end (which was an excellent surprise) there was a ton of character background and development. I loved the sequence where Lena and Darren are being given a tour of the building, where I was glad to meet a couple of new characters. Wallace’s descriptions of food are delectably creative and full of vivid sensory descriptions, while his knowledge of the restaurant/catering/food business is definitely up to the task of making Sin du Jour feel like a real and lived-in place. My only real criticism of the series so far is that I’m not quite sure what exactly Darren is there for. He didn’t make much of an impression on me in Envy, and he wasn’t much more present in Lustlocked. While Lena is really coming into her own as a character, Darren just kind of… exists. In a series as jam-packed with characters as this one, especially when being told in novella-length pieces, I kind of feel like every character really needs to exist for a specific reason. Lena is his roommate, and even she doesn’t seem to like or think about Darren very much at all, so he sadly ends up feeling superfluous. In a bittersweet-in-hindsight turn of events, I read Lustlocked the day that David Bowie died, which feels a little like destiny, as it’s heavily implied in the book that David Bowie is/was an actual goblin king. I think this book might always be a little special to me because of that, as it’s a lovely tribute to the man, and one that I especially like because it is such pure, unadulterated fun. Of course David Bowie could be actual goblin royalty—IRL headcanon accepted. Probably my favorite thing about this first round of Tor.com novellas has been the wide variety of different stories they have included, and this one is definitely the one that is most different from all the rest. I didn’t have any particular expectations for Envy of Angels, not having read anything else by Matt Wallace, and I increasingly find that I rather enjoy reading like this. It turns out that Envy of Angels is a smart and very funny urban fantasy. I love any book that makes me laugh out loud, and Envy of Angels did so more than once. 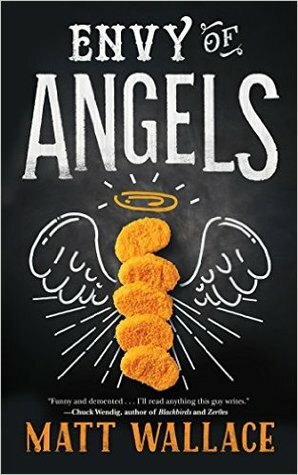 It is a seriously hilarious story involving a couple of down-on-their-luck chefs, a catering company whose only clients are demons, and an angel that tastes just like chicken nuggets. Basically, Darren and Lena are looking for work, they get hired on at Sin du Jour, and this story deals with basically their first day of work. It’s been a good while since I’ve used the phrase “hijinks ensue” unironically, but it’s definitely appropriate here. I can’t write too much about the plot without spoiling half the jokes, so I will just say that this is an excellent little story to read if you need a break from reading all of this year’s fantastic more-serious novels. I finished Envy of Angels in a single afternoon because I didn’t want to put it down, so I’d also suggest being sure to just go ahead and make sure you’ve got a couple of hours free when you sit down to it. I won’t say that Envy of Angels is a masterpiece, because it’s not. Some of the characters are a little too one-dimensional, the tone of the story can be uneven at times, the prose is workmanlike at best, and I occasionally felt as if the author wasn’t quite as clever as he thinks he is. Still, this is a super fun read, and sometimes that’s enough. I don’t see myself searching out Matt Wallace’s other work anytime soon, but I’m definitely looking forward to the next Sin du Jour novella. Goodness knows, by the end of January I’m sure I’ll be ready for another light, fast, humorous read to chase away the winter doldrums. 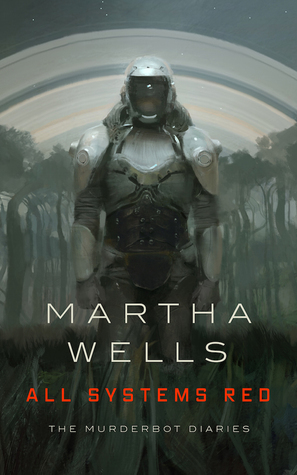 Emily Foster’s The Drowning Eyes is gorgeous to look at and sounds like a great read, but I have to say Lustlocked by Matt Wallace is probably the one I’m most excited about. And, really, just look at this cover. There’s basically no universe in which I’m not going to want to read a book with that cover. Especially when it’s novella length. It’s going to be a great read for a late January afternoon.